Part 9 of my Tamil proverb collections. All proverbs are translated by me. தன் வினை தன்னைச் சுடும் , ஓட்டப்பம் வீட்டை சுடும் . Than vinai thannais sudum, ottappam veetai sudum. One’s deed will burn him, pan cake with evil intention will burn the house. 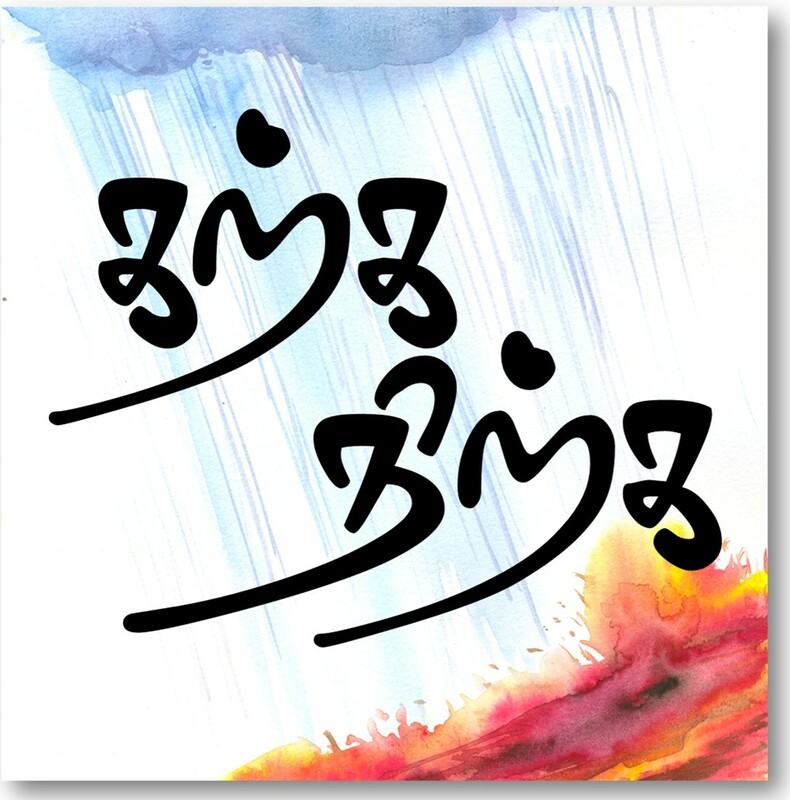 Patinathar or Pattina Pillayar is very famous Tamil Shidda poet. One of the legends say he was big merchant in Kaveri Pattinam and his original name was Vekata Chetti and one of the most influential people of his age. Then there are various legends either his ships returned with gold or his son brought cow dung back when questioned it changed to gold.While he was happy to get the gold, a saint visited his house and delivered a package to his wife. When he returned to his house and opened the package he saw a needle without hole and with a message even this needle wont come with you when you are dead. This made him understand he was greedy with material possessions and became a naked saint. He begged for alms. His Sister was so ashamed of him she invited him to his house and gave him appam with poison. Patinathar with his siddic powers understood it and placed it in her roof and went away. The house due to his meditative powers burnt. So the proverb means your deed will burn you and if you do harm to others that will also burn you. அடி நாக்கிலே நஞ்சும் , நுனி நாக்கிலே அமிர்தமா ? Adinaakile nanjum, nuni naakile amirthama? When you have poison in the bottom of your tounge ,can there be elixir at the tip of the tongue ? Said at people who have bad intentions and yet speak good words to make you believe them. Said to people who want to destroy but still make you believe they care for you. கண்டால் காமாச்சி நாயகர் , காணவிட்டால் காமாட்டி நாயகர். Kandal kaamachi nayagar, kaanavittal kamaatti nayagar. In front of you they would praise you like a lord. When you are away they would ridicule you as a fool. Kamatchi nayagan means the hero of Kamatchi that is lord Shiva. Kamaatti Nayagan means hero of fools. காமாட்டி kāmāṭṭi : Fool, idiot, dunce; மூடன். ஒட்டைக்கூதன் பாட்டைக் கேட்டு இரட்டை தாழ்பாள் போட்டது போல. Ottaikoothan paatai kettu irattai thalpal pottathu pola. She Bolted her door twice after hearing Ottaikoothan’s song. The story that illustrates this proverb is found in”Vinodarasamanjari,” the king’s favorite court poet was Ottaikoothan and queens favorite was another poet. The king there fore put the other poet in the prison. This angered the queen and she bolted the door of her room. The King couldnt enter her room in the night and asked her to open it. The queen replied only if her favorite poet was release she would open her door. The king said okay and asked Ottakoothan to sing a poem in front of the door to make her belive the king had release her favorite poet. But when Ottakoothan sang the song, the queen realised it was not her favorite poet and bolted her door one more time. Thus the effort of the king to soothe her ended as an futile attempt and infuriating her even more. This is said at person who try to soothe some one else but end up infuriating them more. Hehehe, even the king is not spared. பின்னணியில் ஒரு ஸ்வாரஸ்யமான சம்பவம் உள்ளது.